Paparazzi Bird Feeder | Lets birds leave you postcards. 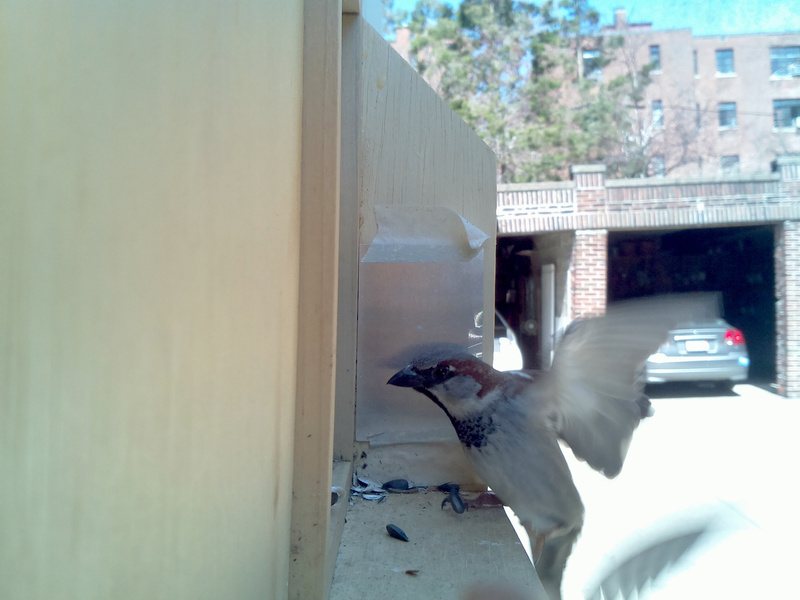 A sparrow lands on the feeder. 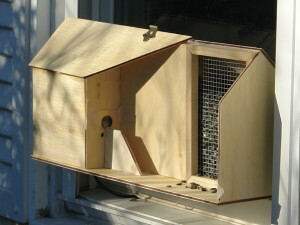 The Paparazzi Bird Feeder offers birds seeds while secretly photographing them and immediately posting the pictures to Dropbox, Flickr and Twitter. This site contains a set of instructions for building the device and a small gallery. For many more images, see the Flickr and Twitter feeds! The project source code is hosted on Github. The Paparazzi Bird Feeder was originally developed by Ted Pudlik, Aaron Mead and Andrew Roberson; they met at the Raleigh Maker Startup Weekend. Special thanks go to DXLab for help with the design. The materials on this webpage are made available under the CC BY-NC-SA license.